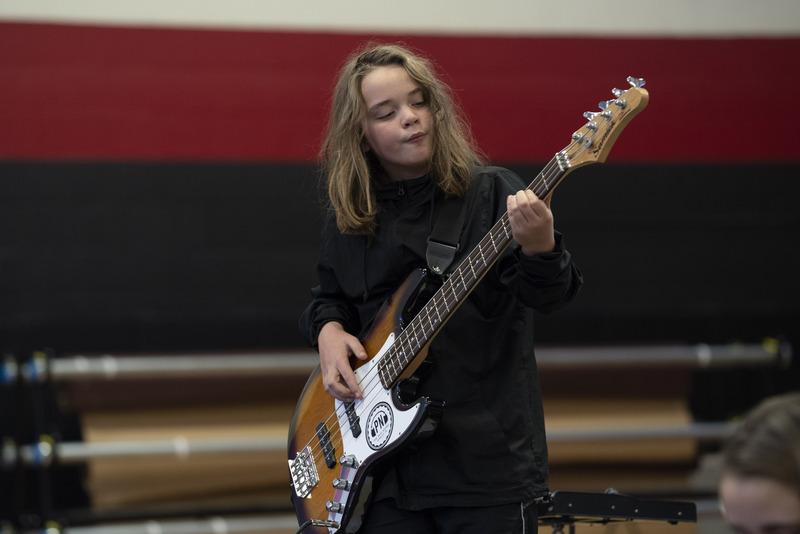 Music instruction develops students' musical literacy and performance skills, while providing exposure to the broad range of musical genres, styles, instruments and figures. Music appreciation and performance are developed through multisensory techniques, advancing understanding of voice, rhythm, pitch, conducting and instrumentation. With consistent exposure to a variety of genres, ranging from opera and classical to folk and pop, students enhance their appreciation of music from around the world. Nearly a third of the school participates in the Siena Band and Chorus, which performs rock, pop, jazz and even the occasional heavy metal song. Students compose and arrange music, and groups of students often create their own smaller ensembles. The year culminates in the annual Siena Band Night, at which the band and chorus perform a wide variety of songs, and students in bands outside of school have an opportunity to perform.